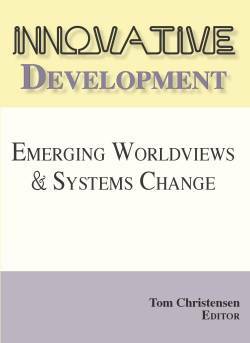 Innovative Development: Emerging Worldviews and Systems Change (Integral Publishers, 2015) is a useful volume (edited by late Tom Christensen—you did a very good job here, Tom, and I wish you a blissful journey in the afterlife, whatever and however it is in actuality) that contains papers on Spiral Dynamics (SD) and the Gravesian theory as applied to the societal dimension. 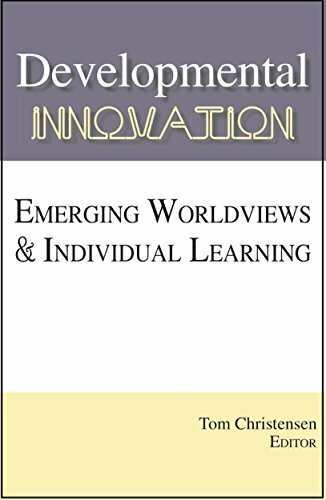 The book is not an introduction into the general topic of SD but can be a companion for a more in-depth investigation of how this kind of thinking is applied in practice by different specialists. This book also includes numerous references to Ken Wilber’s AQAL Integral Meta-Theory, though it is mainly written through the perspectives of Don Beck’s as well as Clare Graves’ frameworks (and it includes references to the posthumously-published book by Graves ed. by Cowan and Todorovic). In general, it could be useful to note that this book offers a perspective which is friendly to Wilber’s Integral vision. The volume 2 of the series might be of more interest to psychologists-practitioners (such as myself), while this volume is devoted more to organizational and business side. Still, it is a valuable source of information. The part I liked the most was the chapter “SDi and Spirituality: A perspective from the Ministry”—it transmits a deep perspective of a person who by the nature of his work had to communicate with numerous people from all the stages of consciousness (these stages/levels of consciousness, existence, and values are called in SD vMEMEs). This chapter was written by a very thoughtful and reflective author. Among the other favorite chapters I would include Marilyn Hamilton’s “SDi in the Integral City,” which was quite appropriately chosen to be the first, opening chapter. I also appreciated Laura Frey Horn’s personal memories of the psychologist Clare Graves who was her university scientific advisor. The chapter on Solonic Practice about mentoring a youth soccer (football) training company using Spiral Dynamics has been interesting to read as well. If only because I like soccer, the true football of the world. Several years ago I even wrote an article “On Potential Repercussions of Mega Sports Events in Russia”; it was published in Integral Leadership Review. The article was partly about the FIFA World Cup 2018, the most important soccer tournament of our planet which was hosted in Russia last summer—at the time of writing the article in 2011 this mega sports event had been only in the planning and preparatory stages. I attempted to convey how an Integral AQAL framework can be used as an orienting frame of references in terms of seeing and actualizing the span and depth of such mega sports events. Another chapter in Innovative Development which I appreciated was the one written by Jordan Bruce MacLeod: “Ego, Money, Empire: Mastering the Worldly Vehicles.” I liked the perspective on ego and money presented there. It has a transpersonal or spiritually-oriented flavor, and really leaves a good aftertaste. I appreciated chapters by other authors as well; here I just noted the parts of the book which touched me the most. 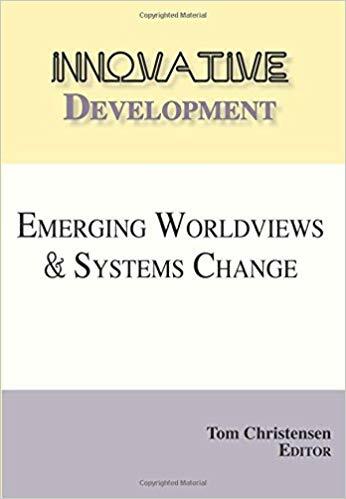 It was also interesting for me to see how the Spiral Dynamics thinking has been applied globally, to topics related to such regions as Africa, Middle East, Mexico, the United States, and Europe. 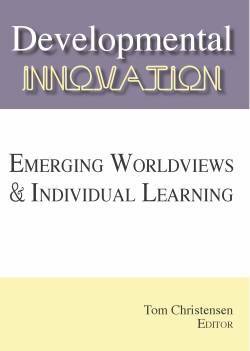 Developmental Innovation: Emerging Worldviews & Individual Learning (Integral Publishers, 2015) is generally a good book for someone who wants additional reading in Spiral Dynamics (SD or SDi—the latter abbreviation stands for Spiral Dynamics Integral, Don Beck’s enhancement of the original framework that explicitly uses the combination of 4 quadrants & 8 levels influenced by Ken Wilber’s work on AQAL Integral Meta-Theory). The book is a collection of essays (again, edited by late Tom Christensen) and articles which are focused mostly on psychological dimensions. I appreciated some of the articles, such as the biographical pieces by some of the authors (including that of Keith Rice and that of Michael Keller). Keith Rice’s article on applying SDi to psychotherapy was also helpful in terms of seeing how the ideas of SDi are applied to psychology and therapy. John Dupuy’s material on Integral Recovery is, of course, worth reading. 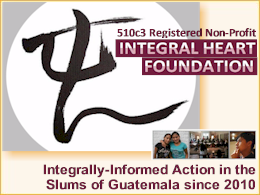 Integral Recovery is a cutting-edge vision of how one can create holistic environment for healing drug and alcohol addicts. For additional information I recommend John’s book Integral Recovery: A Revolutionary Approach to the Treatment of Alcoholism and Addiction (State University of New York Press, 2013). It is truly a good book. Solid. The material complied by Peter Merry and Ard Hordijk, included in this volume, contains some interesting ideas on what constitutes Turquoise, the highest vMEME/level of consciousness that is listed in SDi (there are other developmental frameworks which actually research later stages of development, but here, in this volume, there is only this limited view of this particular higher vMEME). Specifically, I agree with their vision of the growing awareness of importance of the energetic dimension of life force. The concluding chapter “The Spiral of Intimacy” by Rafael Nasser is probably the best or among the best essays included in the book. 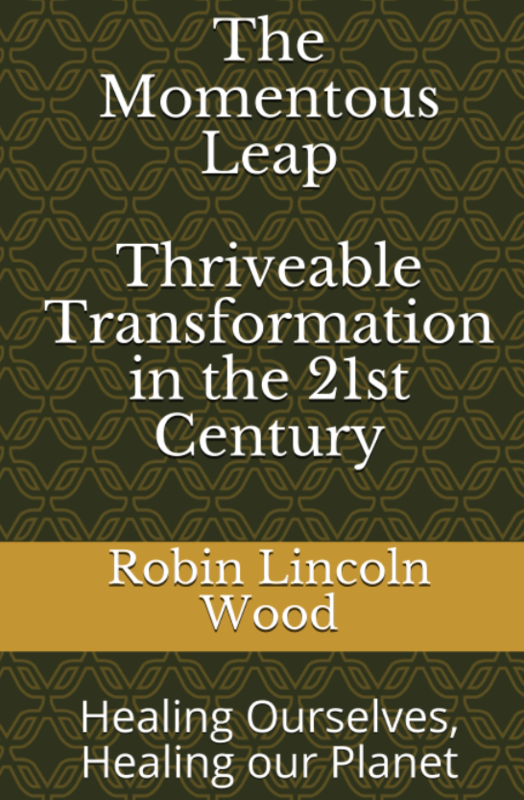 It offers the author’s view on the evolution of couples across the evolutionary spiral. It contains very good descriptions of what could be Green and Yellow relationships (Green: sensitive lover; Yellow: evolutionary lover). It also provides a good exposition of the historical Life Conditions that accompanied the emergence of each evolutionary vMEME. The Turquoise description seems like a weaker point in this chapter on relationships, but the entire Turquoise vMEME notion is not well-developed in the essays in this book and the main books on Spiral Dynamics (Keith Rice claims in his chapter that Chris Cowan admitted that he and Don Beck didn’t have much understanding of Turquoise when they were writing their main Spiral Dynamics, 1996). Turquoise is sometimes conflated with transpersonal (which doesn’t seem right to me as well as to some other thinkers and practitioners, such as Ken Wilber or Susanne Cook-Greuter) and often ascribed magical realities related to states of consciousness. It seems that Susanne Cook-Greuter’s research on post-autonomous stages of Ego Development (including Construct-Aware and Ego-Aware which can be roughly correlated with Turquoise) provides much more nuanced differentiation of this exquisite later stage of meaning making—all of it can be used as a kind of supplement to the main SDi framework that adds meat to the bones of higher stages of human consciousness. For future reference on this post-autonomous stage—as well as the next stage called Unitive—see, e.g., Cook-Greuter’s dissertation published as a book: Postautonomous Ego Development: A Study of Its Nature and Measurement (Integral Publishers, 2010). Cook-Greuter’s research is built on the solid Jane Loevinger’s foundation and is known for its meticulous standards, so it is worth checking out. She earned her D. Ed. in Human Development and Psychology degree at Harvard University in 1999. Also, of interest here is Ken Wilber’s latest contribution to the field of vertical development and adult developmental psychology made in his book The Religion of Tomorrow. In that book he describes the full spectrum of consciousness including both the first tier and the second tier, and he goes on exploring the third tier (based on Aurobindo’s contributions as well as those of other rare researchers and investigators—and his own explorations, too), which is truly a transpersonal, transrational, spiritual developmental tier which unites states and structures of consciousness. It is a rare vision of holistic comprehension that embraces all vertical structures and all horizontal stages, which could be very useful to Spiral Dynamics practitioners at least as a supplementary point of view. It is worth noting that Wilber’s view of tiers is in some respects different from that of Clare Graves and Don Beck. Beck has criticized Wilber for that deviation, but one could argue that it can also be seen as a further development (depending on your preferred stance). While agreeing with Graves that the transition to the second tier marks a “momentous leap in meaning,” Wilber distances himself from the hypothesis proposed by Graves that the second-tier levels or stages must symmetrically recapitulate the first-tier levels or stages, although now from a being perspective rather than a subsistence perspective. Wilber, grounding his argument in his overview of several other developmental frameworks (actually, dozens of them), doesn’t agree with this postulate, or hypothesis. Wilber’s own third tier begins at the end of Turquoise and the beginning of what he calls Indigo (in Spiral Dynamics’ terms it could probably be called Coral). I think that it is possible that some new stages might emerge and crystallize in between Turquoise and third tier, since it is such a novel emergence (for instance, Cook-Greuter sees “Ego-Aware” as a substage of Construct-Aware, but could it be that in the future of consciousness evolution we would see the differentiation of another full-blown second-tier stage between Turquoise Construct-Aware and the first genuinely transpersonal third-tier stage? If so, it will surely appear in the data samples collected by integrally-informed developmentalists). 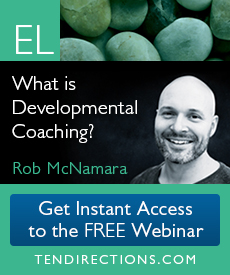 Overall, Spiral Dynamics seems to be a very solid practical framework that can introduce basic and also complex developmental ideas (the notion of vertical development) into multiple disciplines such as business, organizational development, practical psychology, spirituality, and psychotherapy. At the same time, it requires additional expansion by incorporating other theories and methodologies in order to get a fuller view of what a human being is in relationships with oneself, others, and the world. The best places of application of SD seem to be business and organizations and wherever one needs a fairly simple yet nuanced framework to understand the evolutionary trajectories of life spiral that are present in each and every occasion. Yet, once one zooms in, additional differentiations, methods, and theories are required. For instance, Keith Rice points out that Spiral Dynamics doesn’t take into account much of unconscious processes; Wilber’s AQAL Integral approach highlights certain obvious inadequacies of Spiral Dynamics when dealing with states of consciousness as well as with spirituality in general—there seems to be a conflation of states with stages, and those two are very different vectors of development, each forming its own axis or path; Rice also points out the necessity of using typological and characterological systems in order to gain additional insight into human dynamics—I appreciate his use of Eysenk’s model as well as the attachment theory as established by Bowlby. In conclusion, Spiral Dynamics is an elegant and valuable approach that can be applied to a large number of disciplines. It especially goes well if used shoulder to shoulder with the Integral AQAL Meta-Theory & Practice as developed by Ken Wilber and his colleagues at what’s known as the Integral Institute (which is now, in 2018, acting more like a network of activities rather than a centralized institution). Eugene Pustoshkin is the Integral Leadership Review’s Associate Editor and Bureau Chief for Russia. He is a citizen of the world who currently lives in St. Petersburg and Nizhny Novgorod, Russia. Eugene is a clinical psychologist, translator, and integral scholar-practitioner. He currently serves as the Chief Editor of Eros & Kosmos (see: http://eroskosmos.org/english), the Integral online magazine for Russian speakers. 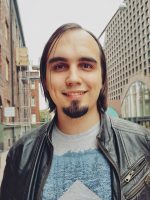 He co-founded the Holoscendence Project (http://holoscendence.com), an initiative that applies the Holoscendence meta-method and Integral framework towards human psychological transformation. He has translated numerous books by Ken Wilber (the founder of Integral Meta-Theory) and other authors to the Russian language. He is a pioneer of Integral Meditation (which, in his version, is a unique combination of Holoscendence and the Wilberian approach as well as Eugene’s own extensive experience in the field of contemplative phenomenology, consciousness exploration, and facilitating individual and group transformative processes). He teaches this integrative mindfulness method to individuals and groups both online and offline (see: http://integralmeditation.ru/en).